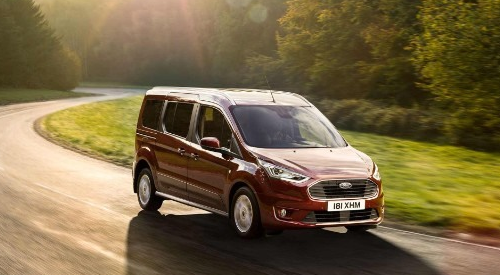 Offering five-seat and seven-seat versions, the Tourneo Connect introduces fuel-efficient new powertrains including the all-new 1.5-litre EcoBlue diesel engine with an eight-speed automatic transmission option, and Ford’s 1.0litre EcoBoost petrol engine featuring cylinder deactivation; manual vehicles feature six-speed transmissions as standard. The stylish new front-end appearance is complemented by upgraded interior trim materials. 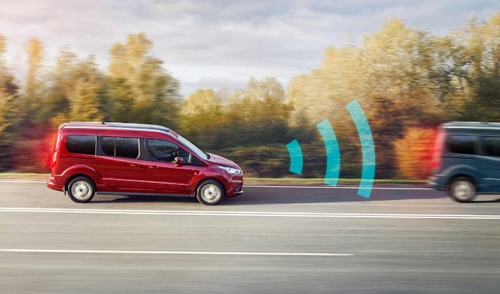 The New Tourneo Connect now comes with Intelligent Speed Assist, designed to enhance your speed control and enabling you to concentrate on the road. First, the Traffic Sign Recognition camera automatically detects the current speed limit (when activated), then the system adjusts your maximum speed setting to that limit. 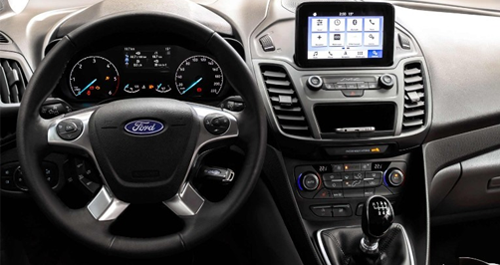 Ford SYNC 3 is an advanced system, optional across the range, that enables you to stay connected and control your phone, music and navigation system. Choose either voice commands or the 6" colour touchscreen with pinch-and-swipe gestures for intuitive navigation. Live Traffic can help you avoid the jams. You can even call up a list of local restaurants simply by saying "I’m hungry". In the 5-seat Tourneo Connect, the second row of seats are split 60/40. And with the backs folded flat, the whole seat can tumble forward to maximise the car’s luggage space. 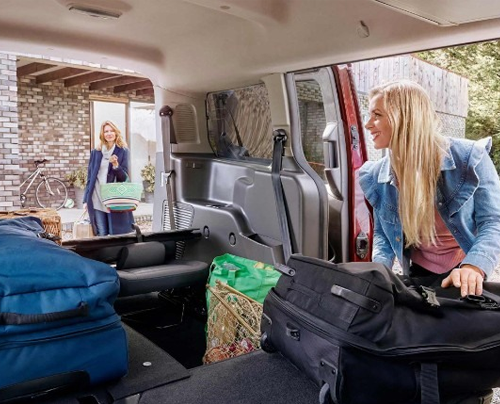 If you need even more room for heavy, bulky items, the seats can quickly and easily be removed entirely. Pre-Collision Assist detects vehicles and pedestrians in the road ahead. It can even detect pedestrians that may be about to cross the vehicle’s path. The system warns you if it detects a potential collision and if you don’t respond it will automatically apply the brakes. This technology is designed to help reduce the severity of accidents, or help avoid them altogether, and functions at speeds of up to 50mph (80kmh).